A commentary recently released by the Mayo Clinic argues that CPR training in high school could be a crucial addition to the curriculum – allowing children to understand the benefits of caring for others and learn new ways to save lives. Recently, the number of U.S. states that have begun to consider cardiopulmonary resuscitation training a necessary requirement for graduation has been rapidly increasing, and requisite CPR training in high school is now used throughout 21 states, effected over one million high-school students a year. 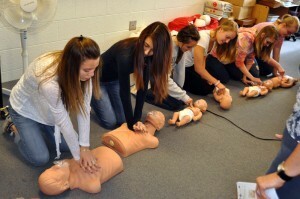 Although students have the ability to opt-out, they must obtain parental consent to do so, which compels the majority to learn the basic techniques of CPR. The idea is that this widespread education will have benefits not only for high school students – but also the general U.S. public. Students in high school are in an ideal position to begin improving the rates of bystander initiation in the U.S. and their engagement could be crucial in reducing regional survival rates for out-of-hospital cardiac arrest. Why Should Students Learn CPR? According to the Mayo Clinic commentary, more than 1,000 suffer from cardiac arrest outside of hospitals everyday – making bystander intervention essential to the victim’s survival. According to a 2006 study, CPR training is the leading influence as to whether a bystander will intervene. With cardiovascular disease hitting the top of the chart for the cause of death within the United States today, the chances are that most students in high school will either be affected indirectly, or directly by a cardiac arrest at some point during their lives. This means that mandatory CPR training could help to mitigate existing health disparities. 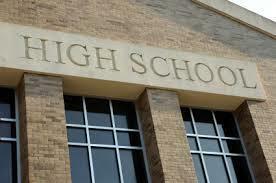 Currently, legislation is being advanced throughout various states by champions of the cause. People who have survived cardiac arrest, bystanders who have attempted to resuscitate someone, students, and family members of victims who did not survive have all come together to actively promote high school CPR training. As a result, the American Heart Association suggests that more than 1 million students are engaging in training each year. It is worth acknowledging that some legally-required training programs are currently better than others. Those which include defibrillator training generally offer a major incremental benefit – however, beyond that there is no evidence that certain high school CPR levels yield better results. The research simply shows that people who are trained in CPR are more likely to act in an emergency. What’s more, those involved in training may be more likely to lean civic lessons, helping individuals to become more involved within their communities, and inspiring students to enter into certain health professions. Importantly, even if CPR training isn’t offered in schools, it’s crucial to ensure that there are means of receiving training available nearby. Organizations such as the American Red Cross, and American Heart Association typically offer in-person and online training for a small fee. The idea, however, is that implementing this life-saving skill into the natural education of children will make it easier for them to access that crucial information – and could help to change the way that people react when presented with emergency situations of cardiac arrest. The result could be the savior of thousands of lives.